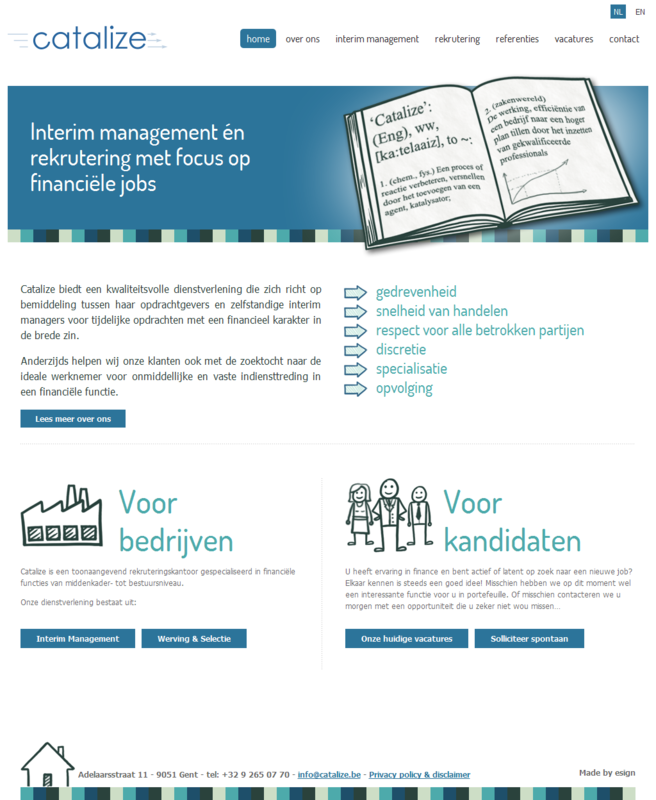 Catalize is a recruitment consultancy with focus on financial positions, ranging from middle management to executive level, providing both temporary solutions (qualified interim managers), as well as permanent recruitment. Positions may range from technical accounting oriented jobs on managerial level to more analytical and/or strategical financial functions (such as financial (sales or plant) controlling, financial planning & analysis, consolidation, treasury, working capital reduction, M&A, corporate finance, internal audit, ERP project management, general financial management,…). Our chief proposition is: thorough knowledge of the Belgian market of candidates in financial positions, speed in the presentation of candidates and in-depth prescreening to insure a high level of quality.